If you own a relatively recent and high-end Garmin watch, you'll soon have much improved sleep tracking features on your smartwatch. A new update for the Garmin Connect app will give you further insight into how you slept last night, with it breaking down your evening into sleep stages rather than just light and deep sleep. The new update breaks down the data from your night into when you've been awake or in light, deep or REM sleep. You'll be shown how long you've been in each of those sleep cycles - including how often you woke up - and that will be more data on your evening's sleep than it offered before. This level of insight isn't new to fitness trackers and smartwatches - for example, Fitbit has been doing this for a while - but it will mean affected Garmin watches will be better at tracking sleep than previously. The app update also brings in new heart rate variability data into your night's sleep to improve the accuracy of your results. Heart rate variability was previously used in the stress tracking features on Garmin devices, but this is the first time we've seen it introduced for sleep. Previously Garmin had only been using movement and heart rate data to analyze your sleep, so if you find your scores change after this update you shouldn't necessarily be alarmed - it should now just be much more accurate. The update is out now and ready to download as an update to the Garmin Connect app on your phone. It will bring the new features to the Garmin Vivoactive 3 (as well as the new Music variant), Forerunner 645 (both variants), Forerunner 935, Vivosport, Vivosmart 3 and Vivomove HR. 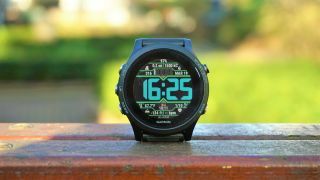 So far the Fenix 5 range isn't included in the update, but Garmin has promised these features will come to that watch and others in the future.